“Out with the old, in with the new, may you be happy the whole year through.” Happy New Year 2015! 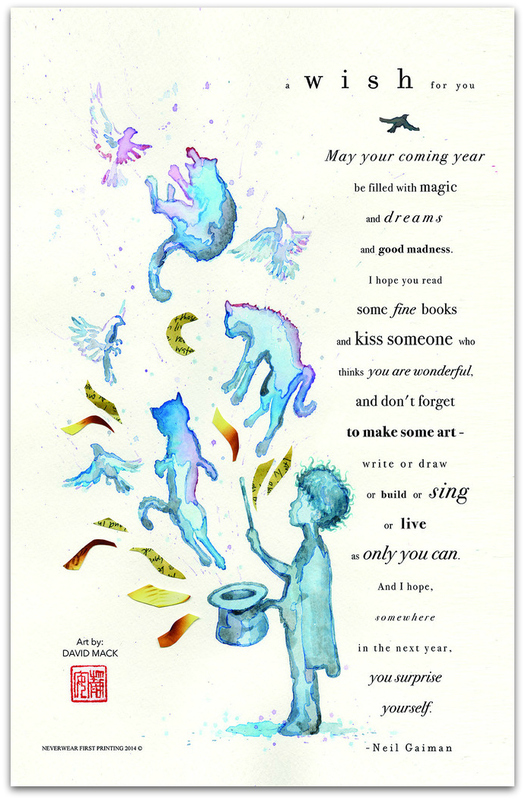 Picture is from here, the beautiful artwork is Neil Gaiman’s New Year’s Wish limited edition print by David Mack. PS. The first post of this year will give you a look of my year 2014 in books, what did I read? PPS. As of 2nd of January 2015 I will start a 30 day challenge, which means there will be a new post every day! However, the theme of the challenge will remain as a surprise, it’s not related to books.